We are located on Main Street in the Village of Barboursville. If you come into the Village by going under the train trestle, follow Main Street another 1/4 mile or so. We'll be on the right. If you're coming in through Farmdale Road or the other side of Main Street, make your way past the Village of Barboursville Building and down the hill. We'll be just ahead on your left side. For more details, see the map at the bottom of the page. We have a parking lot in the back of our building. You can get there by looking out for a parking sign on the West side of the building in front of the little brick house right beside the church. Park anywhere you can find a spot. There is also parallel street parking in front of the church on Main Street. ​​Is Your Building Handicap Accessible? Yes, it is. There are marked handicapped parking spaces both in the back parking lot and in the front of the church along Main Street. From the back parking lot, you can get to both levels of the building (up to the Sanctuary and adult classrooms, and down to the Fellowship Hall and children's classrooms) using our electronic chairlift. There is also a ramp and handrails to take you up to the front door and into the Sanctuary. How Should We Dress for Church? Most who come for worship dress in dress casual attire. Men will feel welcome in anything from a tie and slacks to a polo shirt and a pair of chinos. Women will feel welcome in anything from a blouse and slacks to a dress. Children and teenagers are welcome however they feel comfortable dressing. No one will ever be turned away or made to feel unwelcome no matter their dress. We do. We have a nursery that is staffed by two youth of the church. Parents are welcome to keep their children in worship or to bring them down to the nursery after the Children's Message, which is near the beginning of our worship service. Are You a Kid-Friendly Church? We are! We welcome children to either stay in worship or go down to the Nursery after the Children's Message. We think children are just as important a part of our church as anyone else, and we welcome their energy, imagination, as well as their clamor. Do You Really Welcome Everyone? Yes, we do. Being a welcoming church is not just a story we tell ourselves. It's the truth about us. It's also the truth about the Gospel. Here, everyone, no matter what, will be loved and welcomed for being the beloved child of God they already are. Presbyterians are a big tent people. We confess Jesus Christ as our Lord and Savior. As Presbyterians, our trust is in the Triune God alone. We believe that discerning, discovering, and then doing the will of God as best as we can and as God’s grace provides, requires worship, prayer, and continual reflection and conversation in community. We seek to listen to the voice and heart of God in the Holy Scriptures, which we believe are the unique and authoritative witness to the Triune God fully and finally revealed in Jesus Christ through the Holy Spirit. We believe that trusting and putting our faith in Jesus Christ is an ongoing and everyday pursuit, never perfected or completed, but always sought after. Growing in Christ Jesus is a practice of head, heart, mind, and body. 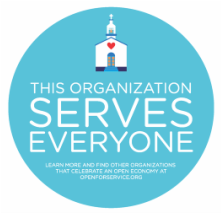 We believe that every human being, no matter who they are, who they love, or what their skin color, gender, or political and social positions, is a beloved child of God, and they will be welcomed into our church community. Now that you're caught up on the basics, find out what's going on this month.